As a full-time teacher, 47-year-old Dawn Chua spends most of her waking hours coaching her young students on the finer points of the Chinese language. Come weekends, however, she helps another group of individuals with a very different set of needs – the terminally-ill patients of Dover Park Hospice (DPH). In the past five years, Chua has made weekly visits to the hospice to provide massage therapy for its cancer patients. Speaking to The Pride, Chua says: “Some of the patients may be physically weak, so I don’t try too hard to engage them other than to make some small talk to cheer them up, and ask them how they’re feeling. 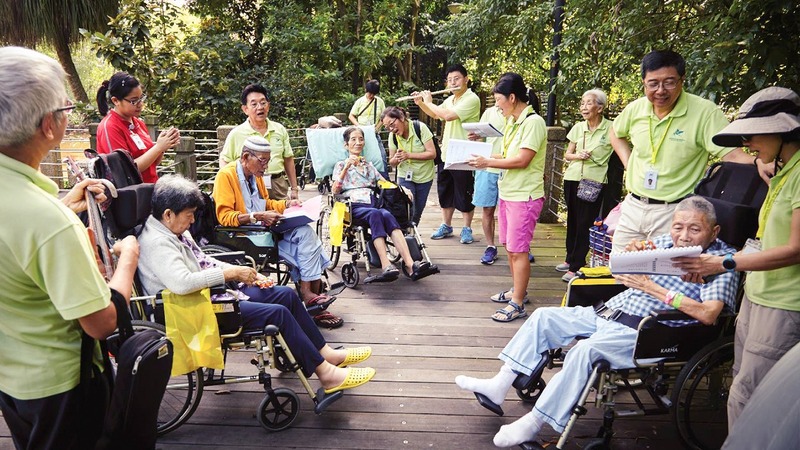 Volunteering at a hospice may seem unconventional to some, given that death remains taboo in Singapore. It is a topic that many would prefer to avoid, whether out of fear or superstition. However, that has done little to faze Chua. Since 2014, she has also served as a vigil volunteer with DPH’s Vigil Project in 2014. Under the programme, volunteers take turns to stay by the bedside of patients who are assessed by doctors to be nearing the end of life. As one of the hospice’s 15 vigil volunteers, Chua has herself accompanied four vigil patients. Often, the patients’ conditions can be unpredictable, and some may pass away even before the volunteers arrive. Other times, the patient’s condition improves and the vigil eventually gets called off. One consistent thread, however, is that these are patients do not have relatives or whose loved ones are unable to take time off to keep them company. The presence of a vigil volunteer, if only as a silent companion, offers emotional comfort and support for the patients as they deteriorate. To Chua, it hardly matters that the patient is a stranger to her, or is unable to respond to her. Instead, she immerses herself in meditating and praying for them. As a devout Buddhist, Chua is a firm believer that death is an inevitable part of life. But it’s still always difficult whenever a patient passes away. Volunteers like Chua interact closely with the patients through a variety of activities at DPH. Often, there is a need to be mindful of sensitivities. For example, Chua says that she’s happy to listen to the patients if they’re in the mood to share their stories, but considers it a no-no to offer advice or say things like, I know it’s hard for you. Instead, the close to 400 active volunteers at DPH work closely with the hospice staff to fulfil the patients’ emotional needs, even as their physical comfort remains a top priority. A DPH spokesperson tells The Pride: “Here, the atmosphere is quite the opposite of a sombre and gloomy place, as we make it a point to celebrate life. “Some of our patients love to socialise, so our staff and volunteers run a kopitiam gathering every Friday, where our patients can gather for snacks and chit-chat. For the patients who can’t find the words to express themselves, there are music and art therapists to support them. Helping patients who are approaching the end of life has taught Chua valuable lessons on the fragility of life, and the power of love. 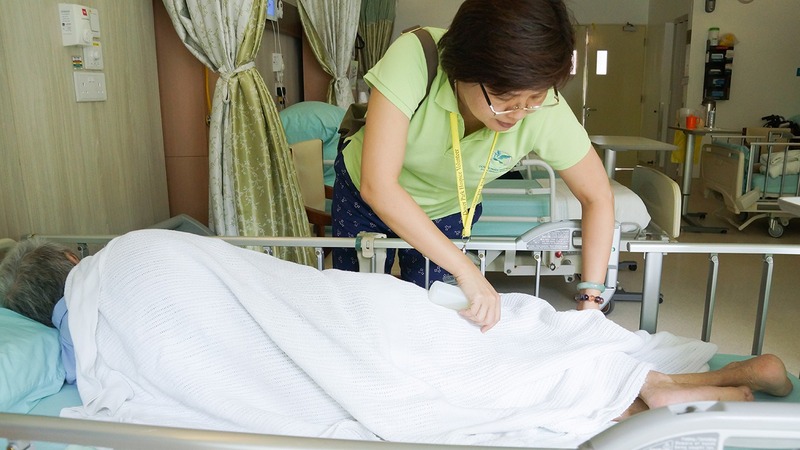 Many leave her with indelible memories, such as the Malaysian patient whose family could not make it to Singapore to see her, or the fellow teacher who was often cheerful and talkative until her health gradually deteriorated. “There is sadness, and there are many heartwarming moments,” she adds. Yet, these are the very moments that help her find meaning in her volunteer work and strengthen her resolve to keep going.